Roving Blue recently participated in the US Army’s Joint Warfighting Assessment in Hohenfels, Germany from April 30-May 10th. 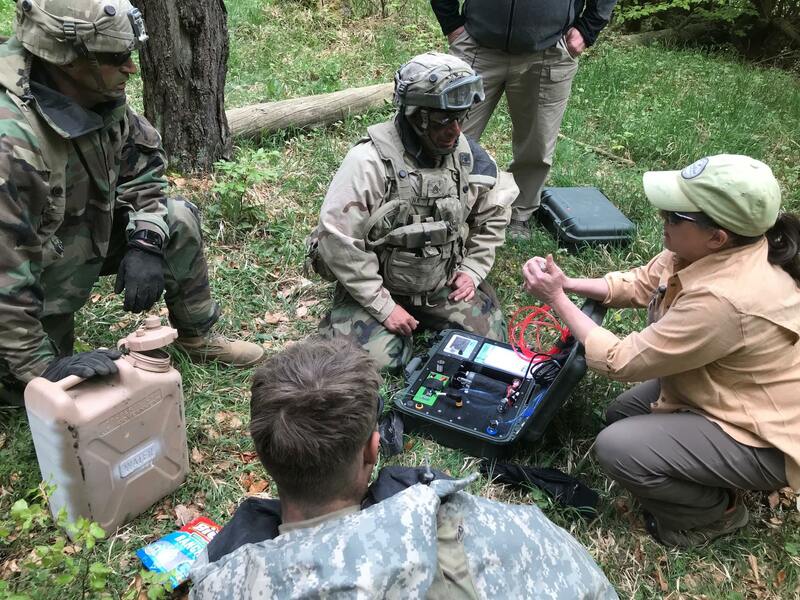 The purpose of these assessments are to field test emerging technologies and improve equipment in the soldiers’ hands, year over year, thus ensuring greater soldier survivability and efficiency in the field. 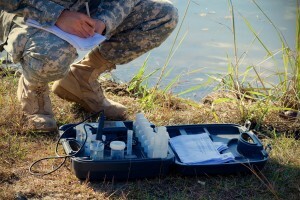 Amidst other technologies, Roving Blue was one of four water purification companies selected to participate in the exercises, which take two years of intense planning to execute. CEO Marianna “Yana” DeMyer and CFO James Gilmet attended the event to personally demonstrate the capabilities of the latest prototype water purification system, Roving Blue MVP-TK™ unit, an ozone-based small water purifier designed to both hydrate troops in mobile vehicles, while simultaneously providing a way to keep produced water pure via an ozone-circulation system called the Tank-Keeper™. This technology represents the latest advances in ozone generation in a tiny (under 25 lbs) system capable of producing the equivalent of a water bottle per minute (.5L) from freshwater surfaces. During the field exercises the soldiers measured output and evaluated the unit on size, weight and power consumption. 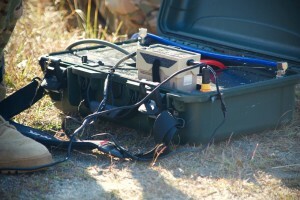 Roving Blue was by far the smallest, lightest and most efficient water system to participate. 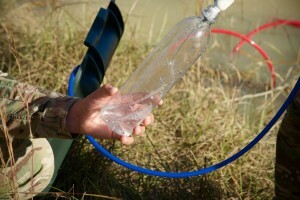 For more information on the MVP-TK™ capabilities and other small water purifiers, please visit Roving Blue. Yana DeMyer instructs troops in MVP-M™ water purification operation during a field exercise at JWA. Lena, WI – November 14, 2016 – Roving Blue Inc., a Wisconsin manufacturer of advanced water purification systems, announces today that it has entered an exclusive license agreement with Nephros, Inc. (OTCQB: NEPH), a New Jersey developer of high performance liquid purification ultrafilters and hemodialfiltration systems. The license agreement covers the NanoBlue ultrafilter for use in Roving Blue’s advanced ozone-based water purification system. Nephros, Inc., well known for its FDA 510(k) cleared ultrafilters used in hospitals to protect against water-borne pathogens, has granted Roving Blue an exclusive worldwide license for the NanoBlue filter for use in combination with Roving Blue’s MVP, an ozone-based, portable water purification system. The MVP is housed in a small but rugged waterproof case, smaller and lighter than a single case of water. The system produces a water-bottle-a-minute of clean drinking water, and can support anywhere between 50-160 people per day, depending on the environment. “We like to say that other purification systems may make clean water, but we’re the only company whose machines make water that cleans”, Roving Blue CEO Marianna “Yana” DeMyer said, referring to the downstream capability of the output water. Purified, ozonized has the potential to do anything from providing drinking water to combat troops in biologically hostile environments to washing lettuce that may be tainted with e-coli or other dangerous organisms. Ozone in water combats foul smells and tastes, leaving a clean, fresh taste. Citing UN Water statistics, Yana said that by the year 2025, half of the world’s population will be living in areas of severe water stress. This means all sources of fresh water, whether from captured rain water, lakes, rivers or streams, will be highly valued & needed for drinking water purposes. Roving Blue manufactures the MVP which is a lightweight, portable water purification system that produces purified drinking water from fresh water sources such as ponds, streams and ditches. It also recently launched the O-Pen, which is an individual use purification device designed to purify any tap water anywhere in the world. Both represent a significant advancement over microfiltration and UV systems due to their employment of dissolved ozone gas (more powerful than chlorine) for highly effective microbiological control. Tap into Purity with the Power of Ozone! 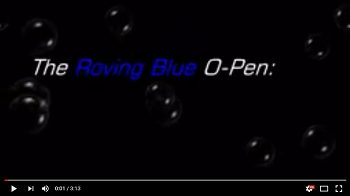 Roving Blue’s O-Pen® is Now Available! Tap into Purity with the O-Pen®, which gives you the power of ozone to purify water in your pocket! For travelers unsure of the tap water in their hotel rooms, cruise ships, or foreign restaurants, the O-Pen® gives you peace of mind. Weighing less than 1.2 ounces (34 grams), the pen is secured in a black velvet bed, and comes enclosed in an elegant gift box with magnetic closure. The brushed stainless steel finish resists finger print smudges for a rugged yet elegant look whether it is used in the office, board room, luxury liner or on a hiking trail. Roving Blue, Inc. is currently participating in the Crimson Viper Field Experiments in Thailand. The Crimson Viper Field Experiment (CV) is conducted annually in Thailand by the Royal Thai Ministry of Defence (MOD) Defence Science and Technology Department (DSTD) and US Pacific Command Science and Technology Office (USPACOM J85). Crimson Viper is a technology experimentation venue that promotes S&T collaboration and is a means of obtaining operational feedback for technology development. DSTD coordinates with Royal Thai Armed Forces science and technology (S&T) service organizations to co-host CV on a rotational basis. This year, the Royal Thai Army (RTA) Research and Development Office (ARDO) will co-host the event with DSTD with assistance from the RTA Fort Adisorn Cavalry Center. The NAVAIR Technology Experimentation Center (TEC) will coordinate the overall event in support of PACOM J85 while supporting individual technology experiments. CV16 will consist of field experiments and a visitor/DV day at the Royal Thai Army, Cavalry Center, Fort Adisorn. The water purification technology experimentation conducted during CV16 will be in direct support of the Integrated Water Purification System (IWPS) project objectives. The purpose of technology experimentation in Crimson Viper 2016 (CV16) is to experiment with leading edge technologies and proposed Concepts of Operation (CONOP) in relevant operational conditions to gather operational feedback. Additionally, CV16 will provide engagement opportunities with Royal Thai Army (RTA) partners. Crimson Viper is executed under the ambit of the Thai-American Consultations (TAC) Joint Statement. Crimson Viper was discussed during TAC XVI on 9-11 April 2014 under Working Group IV for “Relationship Building, Coordination and Collaboration at All Levels” under subgroup IV.2 for Science and Technology. INTRODUCING THE ROVING BLUE O-Pen The Power to PURIFY WATER in Your Pocket! Now taking pre-orders for a limited supply of the Roving Blue O-Pen! The first 300 units will be a brushed Stainless Steel Pen in an attractive gift box. Might even be a collector’s item one day! Anticipated ship date is July 30. 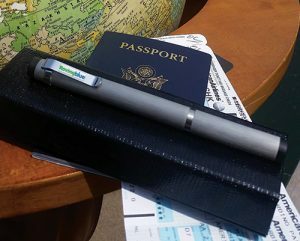 Travelers: TSA approved to bring on board, the O-Pen will allows you to drink water from any tap worldwide, and ensures that you won’t get sick from microbes in the water. Campers/Hikers: This is as lightweight as it comes! Say goodbye to hauling water around, and say hello to any river, lake or stream in the vicinity. Preppers: What are you waiting for? This is the FIRST thing that should go into your bug-out bag! Drinking water is one of the first things that gets compromised when there is a disaster; floods, hurricanes, or earthquakes. Now you can have peace of mind right in the palm of your hand! Featuring the SAME advanced technology in our Roving Blue Model MVP-A, dissolved ozone gas IS the cutting edge of water purification today! Sturdy: Stainless Steel case ensures durability and long-life. Fast-Acting: It will purify .5 L or 16 oz. of water in under one minute. Ultra Portable: The O-Pen weighs only 1.2 oz. (30 g). You CAN drink the water! The O-Pen makes water safe by infusing it with tiny bubbles of ozone gas. Approved by the FDA and the USDA for use in drinking water, ozone is more powerful than chlorine and is highly effective against bacteria, viruses, giardia, cryptosporidium, typhoid fever, coliform, dysentery, cholera, infectious jaundice, hepatitis, influenza virus, e-coli, enteric and many other dangerous microorganisms. Ozone also removes unpleasant tastes and odors – you won’t be able to tell the difference between your glass of tap water and bottled water. Stay Tuned for the NEXT Best Water Purification Product EVER! Fresshwater.Com interviews health writer Jan Modric who writes for Ehealthstar.com and Nutrientsreview.com. Where are you from, what is your educational background, and what kind of work have done? What projects are you presently working on? I am a health writer from Ljubljana/Slovenia and I have finished a medical faculty at University of Ljubljana. Currently, I write for Ehealthstar.com and Nutrientsreview.com. In my writing, I rely on systematic reviews of studies, experience from doctors from various American hospitals and, when it comes to dehydration and water intoxication, also on the newspaper reports. How long can you survive without water? Eights days sounds like a lot, why do I hear that 72 hours without water is a death sentence? According to various newspaper reports, people–from a newborn to a 97 years old woman–have survived up to eight days without any water and food. I’ve collected some of these stories in this article. Eight days really sounds a lot and not everyone can survive so long. Most people might survive for at least 72 hours without water, so this is often used as an estimation that does not want to promise too much. I believe that in ideal circumstances (sitting in a shadow at 50-70 °F or 10-21 °C), many people can survive at least for 4 or 5 days. On the other hand, while walking in a hot desert you can expect to survive only for about 1 day without water. What are the symptoms of mild, moderate, and severe dehydration? You are mildly dehydrated when you lose 1-2% of your body weight due to lack of water. Two typical symptoms are thirst and dry mouth, but they are both quite unreliable. You can be thirsty and not dehydrated or severely dehydrated and not thirsty at all. Dry mouth can be also caused by anxiety, breathing through the mouth or drinking alcohol. Some people, when thirsty, feel like they are hungry. In moderate dehydration (3-6% loss of body weight) your lips become dry, you can be tired or have mild headache. You urinate only a little and the urine becomes dark yellow. In severe dehydration (loss of more than 6% of body weigh) you can be very thirsty and exhausted and you can have a severe headache. Despite a warm ambient, you sweat very little; you also urinate very little or not at all and your urine becomes brown. Is there a way to tell how dehydrated you are based on urine color? Is urine color a dependable indicator? Urine color is very “telling” — in mild dehydration it is usually pale yellow and in severe dehydration it is brown. Various urine color charts can help you estimate the extent of dehydration but not to calculate the exact amount of water you need to drink. Note that foods high in beta-carotene (carrots, sweet potatoes), vitamin B2 supplements and artificial dyes (candies, morning cereals, alcoholic beverages) can also make your urine yellow. Are there other ways to self test for dehydration? The most exact self test for dehydration is checking your morning body weight. One morning (when you assume you are well hydrated because you have been drinking enough for several days), weigh yourself after emptying your bladder and bowel and before eating or drinking anything. This is then your “normal morning body weight.” If at any later day you think you may be dehydrated, check your morning weight again; if, for example, your body weight has dropped by four pounds, it probably means you miss about two liters of water. A sudden loss of weight (within hours to few days) is much more likely caused by water loss rather than fat loss. The other much simpler but less reliable test is a skin turgor test. Pinch the skin between the thumb and index finger on the back of your hand. When you are well hydrated, the skin fold should flatten immediately, but the fold will persist for a second or two if you are mildly dehydrated or for several seconds or even minutes if you are severely dehydrated. The skin turgor test does not work well in old people with wrinkled skin and in obese people with tense skin. Which are the optimal beverages for re-hydration and does it depend on the type of dehydration you have? The optimal beverage for rehydration for children older than four years of age and adults is water. Mineral water that contains some sodium can be more tasty and thus easier to drink. A herbal tea can be also fine. If water is not available, coffee, real tea, soda, fruit juice, sport drinks, milk and even beer can also rehydrate you. Caffeine and alcohol stimulate urination slightly, but this should not be a problem, because you usually consume more water from caffeinated drinks or beer than you lose it with urine. By drinking sugary drinks you may consume more sugar (and thus calories than you intended. Infants and children younger than four years who become dehydrated due to persistent diarrhea or vomiting should receive an oral rehydration solution, which contains sugar and electrolytes — various brands are available in supermarkets and drug stores. Giving plain water to a dehydrated infant can result in a life-threatening drop of blood sodium. When you see a person that appears severely dehydrated, exhausted and not able to walk, call a doctor before you give him or her anything to drink. Such a person will likely need an intravenous infusion of saline. A doctor in a hospital needs to be aware of three types of dehydration –isotonic, hypotonic and hypertonic (depending on the amount of water and electrolytes lost)–, which are treated differently, but a layman person does not need to worry about this in everyday situations. What is the affect of drinking distilled water all the time? Does it dehydrate you? As long as you eat regularly, which means you consume sodium and other minerals, you can drink distilled, demineralized or deionized water and you will not likely experiencing any side effect. Distilled water does not dehydrate you. During fasting for several weeks, drinking only distilled water and consuming no sodium, could theoretically leach too much sodium from your body and result in a drop of blood sodium levels (hyponatremia). Again, this is not a realistic scenario when you eat regularly. The claim that distilled water is dangerous for your health is a hype. But then, why would you want to drink distilled water at all? It lacks minerals and, by itself, is not healthier than other types of water. What is the difference between water intoxication and polydipsia? Are both of these conditions life threatening? Polydipsia means “excessive thirst,” so this describes only the feeling or behavior rather than a health condition. In otherwise healthy individuals, excessive drinking can result in water intoxication (a drop of blood sodium levels or hyponatremia) only when they do not consume enough sodium from food. This typically occurs in women on “water diets,” in alcoholics who consume nothing but beer, in participants of water drinking contests and in marathon runners who drink too much during the race. Some young people with psychological problems may drink more than 10 liters of water per day. The lowest amount of water for which I’ve read it caused water intoxication resulting in death was four liters of diet soda in two hours drunk by a woman who was on a low-calorie (and hence low-sodium) diet for. Athletes who train in hot weather may need to drink more than two gallons of water per day, but as long as they consume food with enough sodium they are not at risk of water intoxication. 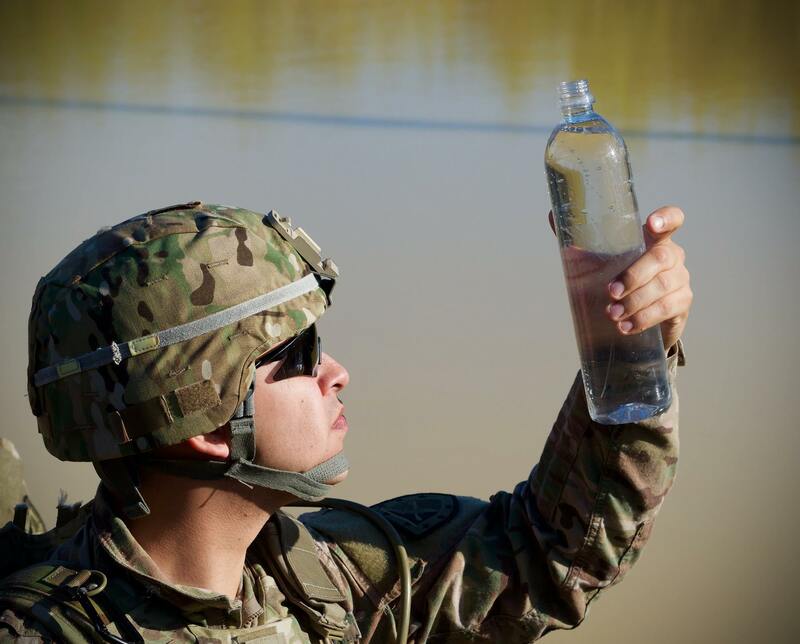 According to Current U.S. Military Fluid Replacement Guidelines from 2003, an individual should not drink more than 1.4 liters of water per hour when drinking for several hours in a row. You can become dehydrated, tired and constipated without being thirsty by just sitting at your desk and not drinking enough. Having a bottle of water at hand can remind you that you need to drink. You do not need to drink “a lot,” of water, but just as much as you lose it from your body. Sedentary adults living in moderate climates need about two liters of water per day (from beverages and foods combined). The more you sweat the more water you need to consume. To check if you are dehydrated you can weigh yourself or check your skin turgor on the back of your hand. Plain bottled or tap water may be boring to drink. You may want to find some delicious mineral water that contains some sodium and you may enjoy drinking more. Try to avoid sugary drinks — they can be addictive, they cost money and can make you fat. Water intoxication does not likely occur by accident; it usually results from consciously exaggerated water drinking. Jan Modric, a 49 years old male health writer from Ljubljana/Slovenia. He finished a medical faculty at University of Ljubljana, but does not work as a doctor. Currently he writes for Ehealthstar.com and Nutrientsreview.com. He searches through systematic reviews of studies and other evidence-based sources and writes for people who want to better understand the health problems they have and for those interested in the effects and side effects of nutrients. Raised on the gang infested streets of Harvey,IL ( a south suburb of Chicago). Went to college in Kansas and acquired both my Bachelors and Masters degrees in Political Science. Worked as a staff member at Wichita State University , attempted to sell life insurance, assistant retail managers, have spent 30 years plus as a telecommunications engineer, a certified tennis instructor, and a Roving Blue sales representative. Is a very avid un-ranked competitive chess player and a former youth assistant football coach. 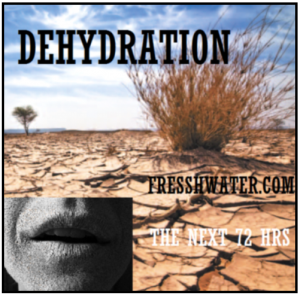 Fresshwater.Com was created to help people prepare for water crisis situations. It presents information about DIY water gathering solutions to the most sophisticated water filtration and purification solutions. People can’t afford to go 72 hours without water and Fresshwater’s presence is assurance that the average citizens will be educated and prepared for the worst. …Marianna “Yana” DeMeyer was born and raised overseas. As the daughter of a Foreign Service officer with the State Department, she traveled all over Asia, the Middle East, and the United States. This childhood experience molded her as an adaptable person with a global view of Earth’s attributes; both natural and geo-political. She attended the University of Wisconsin, and then spent 13 years as a writer and producer for news, marketing, and production companies, before becoming an entrepreneur. In 2012 she started Roving Blue, making advanced, lightweight, portable water purification systems. You have quite an interesting background. Tell us about yourself and your new venture into clean water and creating an advanced portable water purification product, Roving Blue. On day one, Roving Blue was a whirlwind of activity, and it hasn’t stopped. I like to tell people that in the businesses I had worked in before, I always felt like I was shoving a large rock up a hill. With Roving Blue, I have had all I can do to chase that boulder bouncing down that hill, and stay on my feet! When I started out, I had one vision: Roving Blue had to be portable, it had to really do its job well, it had to be the smallest and lightest machine that could still serve 40-100 people per day, and it had to do it with the energy equivalent of a light bulb. I wanted it to be made in America. I wanted it to be the best. There is no room in this company for “good.” It has to be great. I also wanted it to be as affordable as possible, yet still offer our dealers and distributors a great margin for profit. I think our very first “Model A,” launched in late 2015, has done all that and more! Roving Blue is an affordable, portable water sanitation system. What inspired your interest in water purification? Can you tell us about some of the design advances in this market and what we can expect to see in ten years? Early in my career I produced hunting and fishing TV shows. I am a big water drinker, and in the days when bottled water didn’t even exist (can you imagine that? ), I was always facing the problem of how the heck I could pack water into all these beautiful wild places. In many cases, we’re surrounded by water, so it was frustrating that I couldn’t just drink it. Fast forward a couple of decades, and I’m staring at this small box with some hoses and wires coming out of it, on a conference table in front of me. My business partner (and now my husband, Jim) and I were working on one of our commercial funding projects in Green Bay, Wisconsin. It was my first introduction to the Sanitizing power of ozone. The unit was designed to be installed under sinks in dental clinics and in doctors’ offices, to be used to wash hands and clean instruments. The ideas started blowing off in my head. One of the very first questions I asked the president of the company was “Why aren’t you making a portable water purification system out of this?” He smiled and explained that it just wasn’t their market, but that I was welcome to take the idea and run with it. Well, that’s just what I did! What were some of the challenges you faced while designing Roving Blue? How did using Fusion 360 help you in your design process? Probably my biggest challenge is my lack of formal science training in water chemistry and microbiology. Even though I hold a degree in Science-Communications, it isn’t enough in many people’s eyes. I have had two wonderful grant applications be declined due to this perceived weakness. Luckily I have managed to surround myself with very talented and highly educated professionals that I can depend on for sound advice. Autodesk Fusion 360 enables me to sketch out my ideas visually, and helps me to communicate with our engineers and vendors, so they can see what the heck I am talking about. DeMeyer and her team at Roving Blue use Fusion 360 as a way to visually communicate their designs. What aspects of your background influence you most in your work today? I am most influenced by my parents, who always encouraged me to work hard going after my dreams. My mother, a highly educated Filipino, to this day says, “Persistence, persistence, persistence, is the key to success.” My father, a blue-eyed upstate New Yorker of Dutch-Irish descent, taught by example. He was the embodiment of a Diplomat, which is what he was. He was incredibly polite, dignified, and focused on doing things right the first time. Both parents had morals of steel, and the highest ethics. So that’s what makes me approach each day with a grinding work ethic, guided by that moral compass that they instilled in me. What would you say is your strongest skill, and how have you honed that skill over the years? I think my strongest skill right now is my ability to clearly communicate new ideas. This is really necessary, whether you are speaking with an engineer, a potential investor, or to a multi-billion dollar corporation whose support you are seeking. New ideas that are good ideas spark excitement. Excitement produces engagement. Engagement breeds loyalty, which is rare and must be reciprocated. As for how I honed this skill; I did this the way most people do: by making mistakes and failing. When you are younger, you think you are so much smarter than everyone else. Now I have a much more humble approach to business, and life in general. What college and career advice would you give to students interested in taking their design innovations to market? Focus on focusing. Don’t take no for an answer. Think big. Seek mentorship from people who work in the industry you want to penetrate. If you do have an innovative design, something you are truly excited about, be very careful about who you share it with, prior to doing something about protecting your idea. 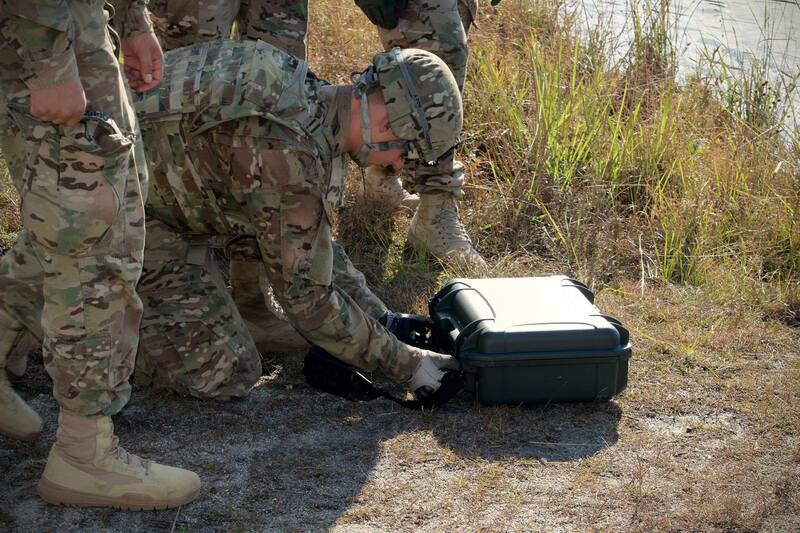 This week Roving Blue is back in Ft. Benning, GA to kick off another round of US Army ‪#‎AEWE‬ experiments. In this photo CFO Jim Gilmet demonstrates to onlookers that size really DOES matter. Especially when you are manually transporting your water resources. Which would YOU rather carry? The Water Buffalo (pictured) or Roving Blue? 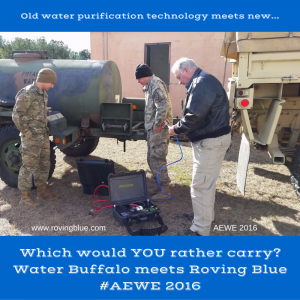 EXFOR Soldiers begin set up of the Roving Blue Small Water Purifier at AEWE. EXFOR Soldiers conduct a non-networked assessment with the Roving Blue Small Water Purifier (Roving Blue, Inc.) and the Weatherproof WASP (Federal Resources) during AEWE 2016 at Fort Benning, GA. The Roving Blue Small Water Purifier offers a five-stage water purification process which includes dual debris screens, sediment filter, activated carbon + silver filters, and ozone generator for sanitation- producing up to 1 liter per minute of drinkable water from surface freshwater sources. 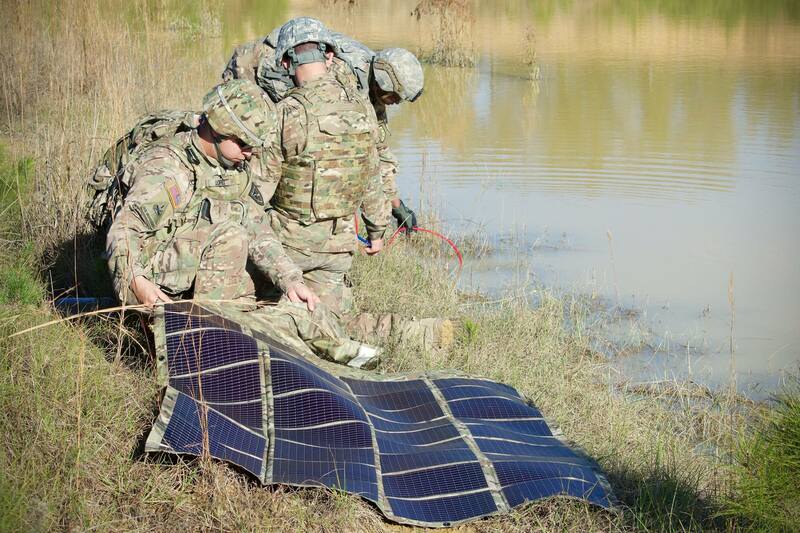 The Weatherproof WASP is an expeditionary power solution that offers solar power recharging capability for multiple types of batteries including the BA2590 and conformal battery. An EXFOR Soldier examines the purified water produced by the Roving Blue Small Water Purifier. Water produced by the Roving Blue Small Water Purifier from surface water. A Water Treatment Specialist (92W) tests water samples during the Roving Blue Small Water Purifier’s non-networked assessment as part of AEWE 2016 at Fort Benning, GA.